In 2008 the board of the South African Broadcasting Corporation (SABC) fell apart and its CEO was found to be receiving exorbitant bonus pay-outs. The deficiency within the public broadcaster administration and accountability structures was laid bare and prompted a broad range of NGOs, CBOs, trade unions, Section 27 institutions, and media monitoring bodies and individuals to form the Save Our SABC (SOS). SOS was later renamed Support Public Broadcasting, and today is known as the SOS Coalition, a single-issue campaign organisation. 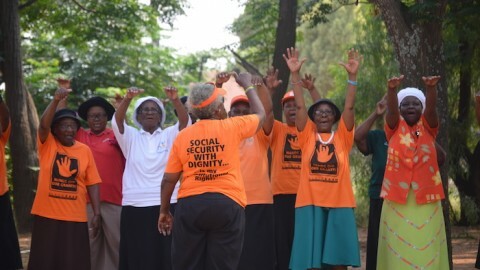 Since then, SOS Coalition has evolved from focusing on the financial unravelling of the SABC and from reactionary problem-solving into a strategic programme and interventions organisation. The coalition works towards strengthening public and community broadcasting. It aims to ensure that the SABC remains accessible and non-party in its mandated role to educate, inform and entertain the people of South Africa. In 2016, the SOS, together with Media Monitoring Africa, amandla.mobi, the Right2Know Campaign and other civil society organisations, played an influential role in the Black Friday protests, which called on journalists and media workers to stand in solidarity against the SABC’s censorship policy that had been likened to an apartheid-era style of managing the broadcaster (limiting the amount of information provided to the public to safeguard the interests of the ruling party). Black Friday also sought the reinstatement of eight journalists (popularly known as the SABC 8) who were suspended by the SABC for objecting to editorial policies. The protests were instrumental in the reinstatement of the SABC 8 and in upholding the values of the constitution. 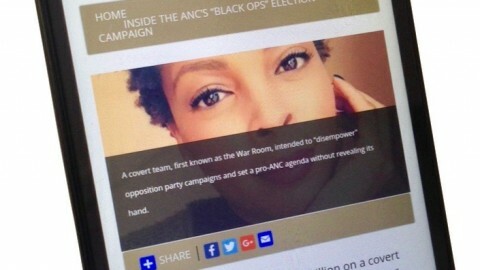 The coalition was an instrumental witness in the December 2016/January 2017 parliamentary inquiry into the fitness of the SABC board to hold office. It provided parliamentary lawyers with enormous amounts of documented evidence of breaches of governance, irregular financial and human resources practices, and procurement shortcomings of the SABC board and management over the years. All but one of the SOS Coalition’s recommendations (that of making the SABC a Chapter 9 institution) were adopted in the final Parliamentary Inquiry Report. The SOS Coalition was influential in championing the prevention of political manipulation of the SABC’s executive board through directly taking the then Minister of Communications, Faith Muthambi, to court to appeal her vetoing of executives appointed to the board. Subsequently, the President appointed an interim board in terms of the Broadcasting Act and on the recommendations of the National Assembly. 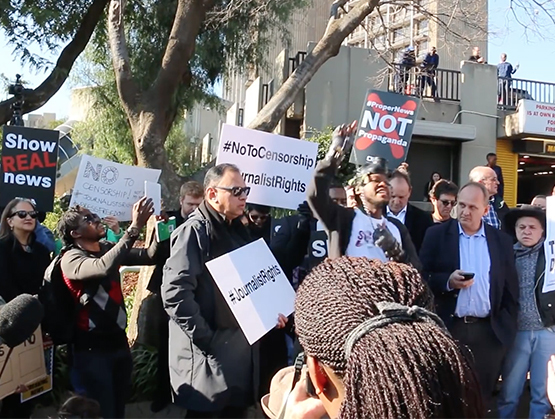 The SOS Coalition is currently pursuing court action in against attempts to secretly sell public resources to private bidders, such as the transfer of SABC archives to the private, paid-for TV operator MultiChoice. The SOS Coalition is leading the fight to ensure that the rollout of the new digital platform for public broadcasting in South Africa does not exclude a massive section of the population from access to basic information. SOS is at the forefront of ensuring that ‘digital set top box’ is cost effective for all South Africans, and that subsidies cover vulnerable households to ensure that digitisation does not prohibit access. SOS Coalition has two full-time staff members and affiliates who provide voluntary support. These include academics, legal resources and media practitioners While this structure has produced laudable results, a team of five full time staff members is required to ensure that the coalition delivers more efficiently and effectively. 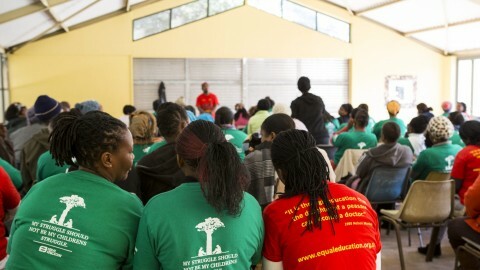 The organisation requires at least R2.2 million per year to sustain itself. Play your part, to support the SOS Coalition click here.